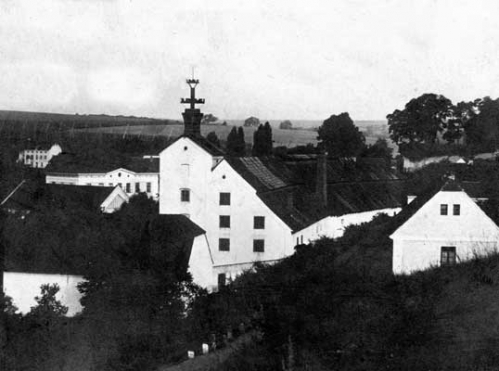 Chříč brewery in the north Pilsen Region was re-established after seventy years to continue the tradition of which there are records since 1567. The renovated brewery follows up the best Czech brewing tradition and rediscovers nowadays nearly forgotten technologies and methods. The unique copper brewing kettle with a direct wood heating under the supervision of an experienced brewer,. Josef Svoboda, who has been active in the branch for 40 years, gives rise to excellent lager beer which is the flagship of the brewery. Besides, the brewery offers seasonal special beers, top-fermented beers and its own flavoured soda. The beer ferments in open fermenting rooms and its quality is decreased neither by filtration nor by pasteurization. The brewery supplies with its draught beer the selected restaurants, pubs and bars in Prague as well as in the surrounding region. The beer is also available on the spot even with the brewery tour. Moreover, our brewery functions as a sheltered workshop – several mentally disabled people work here as an auxiliary brewery staff. Mon: 11 a.m. – 5 p.m.
Tue: 11 a.m. – 5 p.m. Wed: 11 a.m. – 5 p.m.
Thu: 11 a.m. – 5 p.m.
Fri: 11 a.m. – 7 p.m.
Pivovar Chříč - Propolis, o. s.